A look at the eversion approach to CEA, including technical tips, available data, and how to decide when this might be the best option. Most vascular surgeons have been trained in standard carotid endarterectomy (CEA), involving a longitudinal arteriotomy from the common carotid artery (CCA) into the internal carotid artery (ICA), removal of plaque, identification and “tacking” of the distal endpoint, and closure either primarily or with a patch of synthetic or autogenous material. 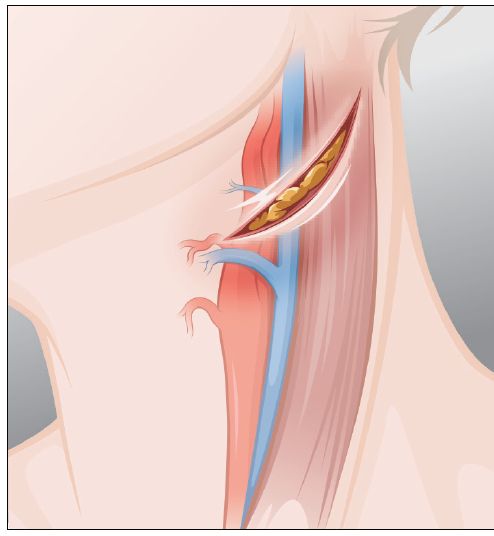 Most vascular surgeons have been trained in standard carotid endarterectomy (CEA), involving a longitudinal arteriotomy from the common carotid artery (CCA) into the internal carotid artery (ICA), removal of plaque, identification and “tacking” of the distal endpoint, and closure either primarily or with a patch of synthetic or autogenous material. I was trained in this method by Drs. Hertzer, Beven, Krajewski, and O’Hara at the Cleveland Clinic in the mid 1990s.1 At that time, the method of choice included saphenous vein patch angioplasty, typically from a small groin incision. I employed this method for several years following my fellowship training but eventually spent time with Dr. Ramon Berguer in Detroit, who instructed me in the technique of eversion CEA (and reconstruction of the distal vertebral artery). I found the technique to be elegant and efficient, and it has been my technique of choice for the past 2 decades. Eversion endarterectomy of the carotid bifurcation was first described by DeBakey et al in 1959.2 This approach involved transection of the distal CCA, eversion of the ICA and external carotid artery (ECA), and primary anastomosis. This particular technique of eversion endarterectomy is best utilized in those with disease isolated to the carotid bulb and proximal ICA. 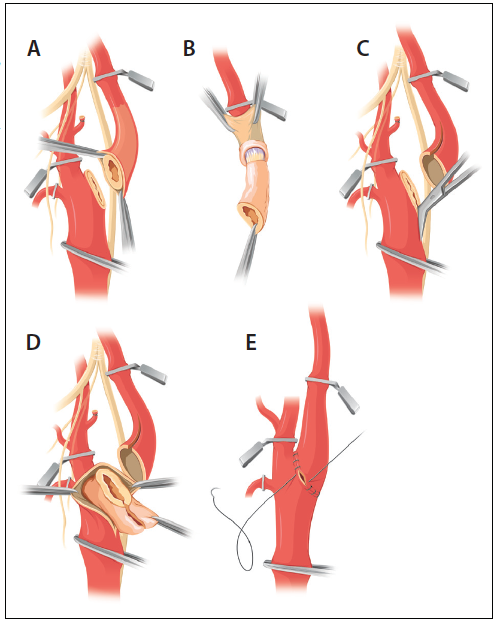 For most patients, the current technique of eversion endarterectomy involves disconnection of the ICA from the carotid bulb with a long, oblique arteriotomy and subsequent reanastomosis following endarterectomy. 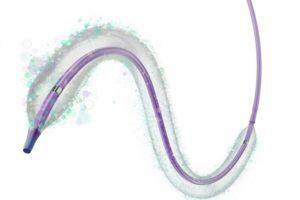 The carotid arteries are exposed in a standard fashion, as utilized for standard CEA. My personal preference is to place the patient under general anesthesia with continuous intraoperative electroencephalographic monitoring. Alternatively, the procedure can be performed under local anesthesia with a cervical block. Once the patient is under anesthesia, the carotid bifurcation is identified with B-mode ultrasound and marked on the skin. The neck is then prepped in a sterile fashion. A small incision is made along the anterior border of the sternomastoid muscle, centered over the previously marked carotid bifurcation. The incision is kept to < 4 cm in length. The vagus and hypoglossal nerves are identified and preserved, and the patient is systemically anticoagulated with heparin prior to manipulation of the carotid bulb and internal carotid arteries. Activated clotting times are monitored throughout the operation, maintaining a value of > 250 seconds. A self-retaining retractor (pediatric Omni-Flex system, Integra LifeSciences Corporation) is placed, allowing superb visualization of the distal ICA. Although many texts specify that a length of distal ICA equal to the length of the plaque should be exposed (to facilitate eversion), I have found this to be unnecessary, as satisfactory eversion with visualization of the distal ICA endpoint can be achieved with a lesser length of exposed ICA. One of the disadvantages of the eversion technique is the relative difficulty of placing a shunt should the patient experience cerebral ischemia with carotid artery clamping. Although technically feasible, the shunt must be placed after endarterectomy of the ICA, which is not the case with the standard technique. To avoid the need for a shunt, mean arterial pressure is typically driven to > 90 mm Hg prior to clamping the ICA. Should the awake patient experience hemispheric symptoms or electroencephalographic changes develop in the patient under general anesthesia during clamping, flow is restored to the ICA and blood pressure is driven a bit higher by the anesthesia team. Often, with several successive attempts at ICA clamping, the patient will ultimately tolerate ICA clamping, due to acute cerebral preconditioning. In the event that this is not possible, the standard endarterectomy technique is employed and a temporary indwelling shunt is placed. In the event that ICA clamping is tolerated, I typically wait for 3 minutes before disconnecting the ICA from the carotid bulb and use this time to circumferentially dissect the bulb and proximal ICA under the protection of a clamped ICA to avoid iatrogenic embolization of plaque. 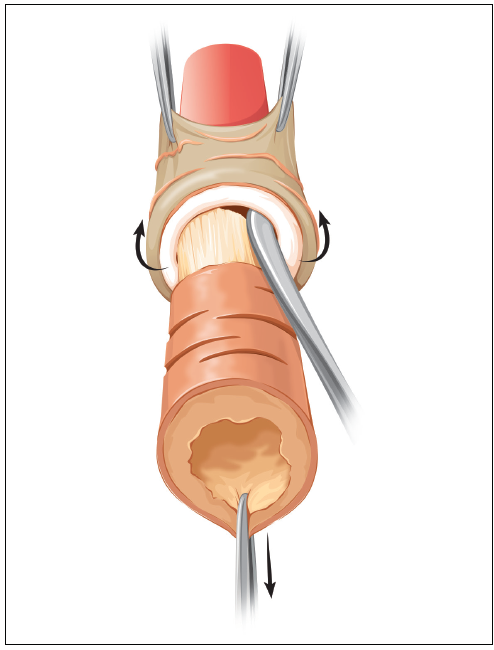 When the ICA is redundant, the eversion technique allows for shortening of the artery before reanastomosis to the carotid bulb. I find that this process is much simpler than in conventional endarterectomy, which requires plication of the proximal ICA prior to patch angioplasty. 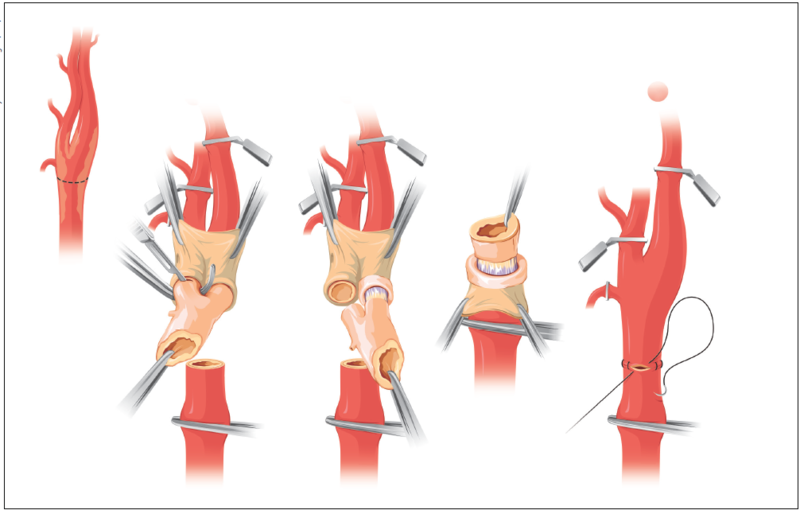 Figure 1, Figure 2, Figure 3, and Figure 4graphically outline the techniques used in successful eversion endarterectomy. In patients with plaque isolated to the carotid bulb and very proximal ICA and ECA, a slight variation in technique may be performed in which the CCA is transected, as described by DeBakey et al.2 Proximal CCA eversion is performed, along with simultaneous eversion of the ECA and ICA; division of the superior thyroid branch of the ECA may be required to facilitate eversion. In my experience, anatomy conducive to this technique exists in < 5% of cases. Many studies have compared standard and eversion techniques for CEA. The EVEREST trial compared the two methods in a randomized, prospective study published in 2000.6Over a 2.5-year period, 1,353 patients were randomized to undergo eversion (n = 678) or standard (n = 675) CEA. The incidence of ipsilateral stroke was 3.3% in the eversion group and 2.2% in the standard group. There were no statistically significant differences in the rate of stroke or death between the two groups (P = .2). At 4 years of follow-up, the cumulative restenosis risk was significantly lower in the eversion group when compared with the standard group (P = .01). The most common complication after CEA is blood pressure instability requiring medical treatment. 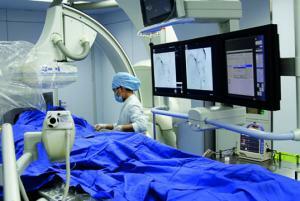 A recently published meta-analysis reviewed the role of surgical technique in postoperative blood pressure. The study reviewed six published reports and found that patients who underwent eversion CEA were more likely to develop postoperative hypertension than those in the standard CEA group (P < .0001), and those who underwent standard CEA were more likely to develop postoperative hypotension. There was no difference in the rates of myocardial infarction, stroke, death, or hematoma.7 It may be that the increased dissection of the carotid bulb and ICA required for the eversion technique is responsible for this phenomenon. Regardless, close blood pressure monitoring in the immediate postoperative period is required, regardless of technique. The potential advantages and disadvantages of eversion CEA are listed in the Advantages and Disadvantages of Eversion CEA sidebar. 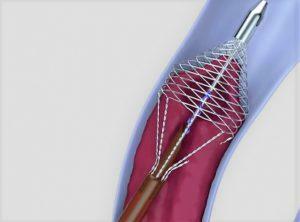 Eversion CEA is an elegant technique for managing patients with high-grade stenosis of the ICAs and provides excellent long-term stroke prevention for both symptomatic and asymptomatic patients. 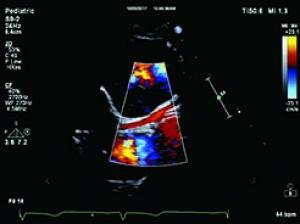 There is evidence that the rate of significant restenosis is less than that for patients treated with standard CEA. Regardless of the technique chosen, meticulous attention to detail is required in both preoperative and postoperative medical management and operative technique in order to provide optimal results.